Christopher Tobias Lenz was born into a musical family. His mother is a music teacher and his father was a passionate Jazz lover, Professor of American Studies and aspiring saxophonist. Being exposed to the music of John Coltrane, Archie Shepp, David Murray, Miles Davis, Freddie Hubbard and the like, Christopher learned to love the beautiful American cultural heritage called Jazz. At a young age, Christopher was toying around with the piano and flute in order to please his mother, and learning to read music with the goal of getting a little price money as a reward. It was not until the age of 15 though, that Christopher felt the inner urge to pursue music more seriously. He took up the bass guitar and was soon playing in various funk and rock type of bands. At 17 he added the upright bass, enjoying a classical education at the Dr. Hoch’s Conservatory in Frankfurt and playing in the school orchestra, as well as joining the Youth Symphony Orchestra of Hessen State for a US tour. He also studied Jazz at the Frankfurt Musik Werkstatt and was playing in several combos, including a Jazz workshop at the Bessunger Knabenschule in Darmstadt. While studying Jazz & Pop Music at the Frankfurter Musik Werkstatt, he also picked up the trombone, adding his flavor in the legendary surf music band “Helden in Hawaii Hemden” for various gigs. In 2005 Christopher relocated to Los Angeles and laid hands on a 1960 Vincent Bach Stradivarius Cornet, firing up his passion for Jazz. 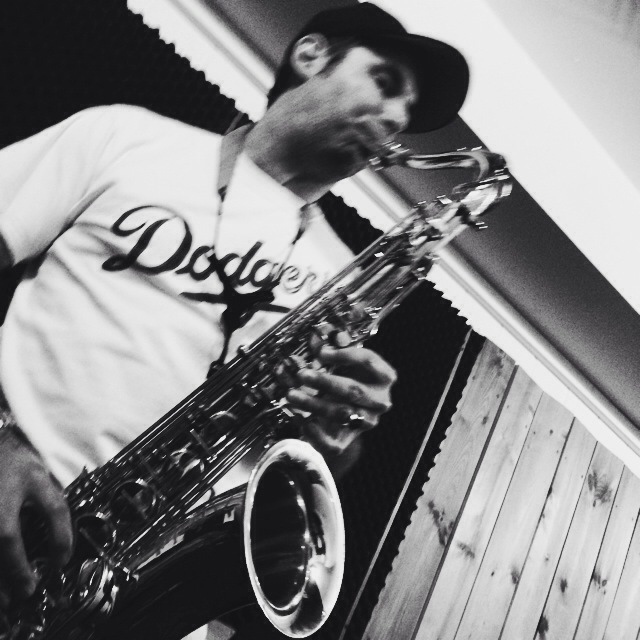 He studied trumpet with Hagai Itar & Josh Aguiar in Los Angeles. Back in Germany since 2011, he found a new toy from Paris, a beautiful Antoine Courtois Evolution I trumpet. In Berlin he studied trumpet with Tobias Netta & Pedro Vera. During the Christmas holidays in 2012, he stumbled upon a new venture, as he inherited his dad’s alto saxophone. After a couple of months, his quest continued to lead him to the tenor saxophone, which feels like he finally found home 😉 His teacher and mentor Fuasi Abdul-Khaliq helps him to move fast forward on his new mission.